I arrived full of anticipation, the sun was shining, the house and views were fantastic, so no disappointment, this was a very good omen for the week ahead! 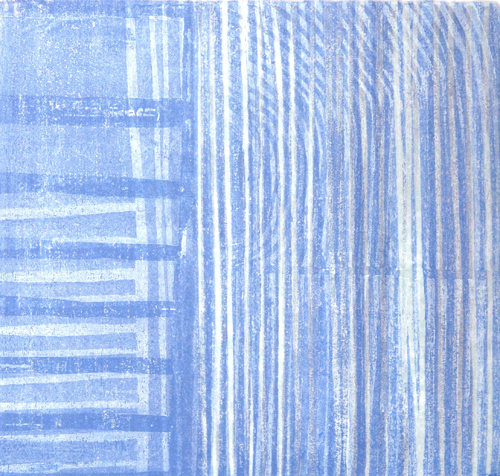 I had planned to develop and experiment with the Ukyio-e method of print making. Time was precious so I remained relatively close to home to immerse myself in the atmosphere of the place. My work is dominated by the subtle and often fleeting changes of colour in the landscape, so the fickle nature of the weather was a delight, even when it was almost white out! Each day I walked the cliffs and delighted in the song of the tiny Gold Crest – Britain’s smallest bird – and the wonderful colours and smells that surrounded me. 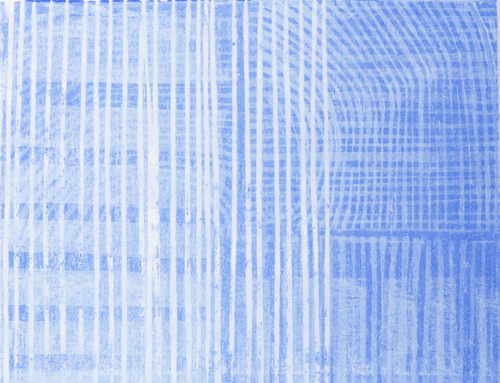 Ukyio-e is full of technical pitfalls but I felt that I made good inroads into understanding how to use it, and am continuing to pursue this method of printmaking. The time spent at Brisons Veor was invaluable as it enabled me to work in a concentrated manner, in peace and quiet and without distraction. I am looking forward to a longer return visit that will enable me to develop some relief constructions, which will complement the prints and paintings that are now in progress.